Grab your significant other and head out to Homearama at Shakes Run on Thursday, July 17th at 6:30 pm for BIA Young Professionals Night at Homearama. We will meet at the Entertainment Patio, sponsored by Hawkeye Security and Electronics, which is connected to the concessions tent to enjoy live music from “It Takes Two” and special beer tastings by BBC*. While you’re there, walk through the eight beautifully decorated and furnished homes to see your fellow BIA members who have built and supplied materials and products for the homes. Purchase your discount Member tickets before you come to the event by clicking here. Purchasing tickets early will save you 50%! 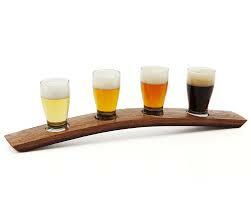 *Beer tastings are not free; tickets for the beer tastings by BBC will be sold at the concessions tent.